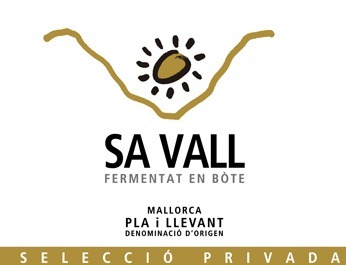 Aged (crianza) white wine, fermented in new French oak barrels and aged for 6 months on its lees. The best grapes from our vineyards go into its blend. Grape varieties: Giró Ros, Viognier and a little bit of Pinot Noir. Alcohol content: 13,5- 14 %vol. barrels from Allier and Nevers. Ageing: 6 months in new French oak barrels from Allier and Nevers, followed by ageing in bottle. Tasting Notes: Clean and bright, golden colour, with slight green tones. Floral, fruit and citrus aromas with a hint of butter. Very long, fresh, well balanced and full bodied on the palate. Food pairing: pairs well with fish in sauce, grilled fish, stews and fresh seafood. Serving Temperature: between 6- 8 ºC. – Silver Medal. 2007 Vintage – “Premium Select Wine Challenge ProWein 2010” international contest. – Silver Medal. 2008 Vintage – “Concurso de los Mejores Vinos Españoles para Asia” held in Hong Kong in 2010. – Silver Mezquita. 2008 Vintage – “XVI Concurso Nacional de Vinos. Premios Mezquita 2010”. – Silver Mezquita. 2009 Vintage – “XVII Concurso Nacional de Vinos. Premios Mezquita. Córdoba 2011”. – Silver Medal. 2007 Vintage – International contest “Premium Select Wine Challenge ProWein 2010”. – Best aged white wine. 2010 Vintage – “11 Magnificos” of the “Guía Vivir el Vino” (365 wines in 2013).